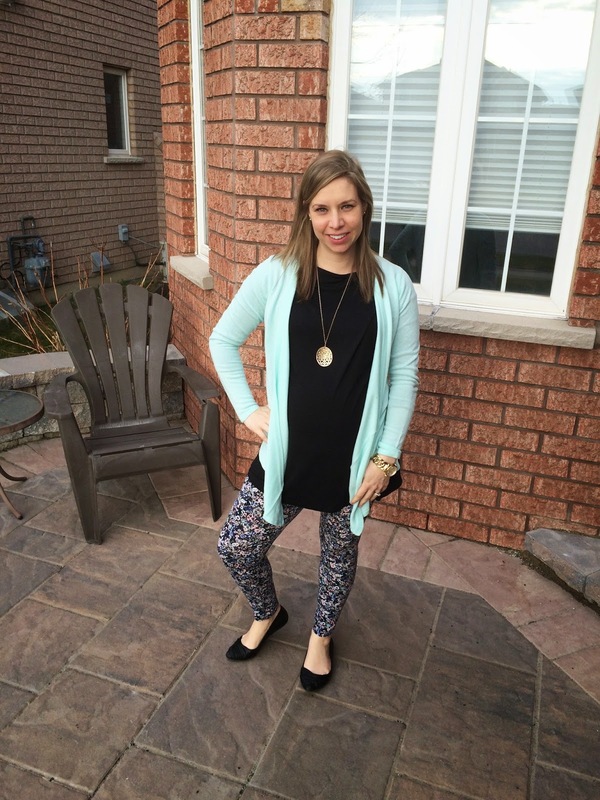 Simply Shaunacey: what I wore - spring style (challenge week 2) and GIVEAWAY! what I wore - spring style (challenge week 2) and GIVEAWAY! 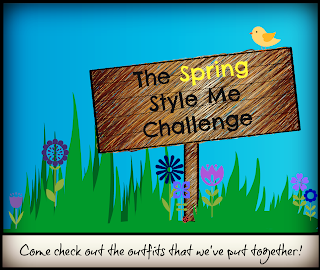 The Spring Style Challenge is in full swing! I have been dutifully making sure I take a pic every day (as you will see, some much better quality than others) so you've got a FULL week's worth of outfits, maternity style! still rocking the denim vest care of Joe Fresh last year, maternity just means I can't do it up, but who does up a jean jacket anyways? I obviously needed a maternity chambray shirt and the floral leggings were too comfortable and cute not to come home with me. More colored pants! I'm LOVING the hot pink though, so fun. I might actually miss these when the belly is gone. Oh cobalt blue, how I love you! Me and my princess (ready for her Frozen birthday party). She was WAY too excited to sit still and pose for a picture with mom. Clearly, I should have opted for sunglasses BUT if you ignore my face, you can focus on the super pretty scarf I scored at Forever21 for $12. 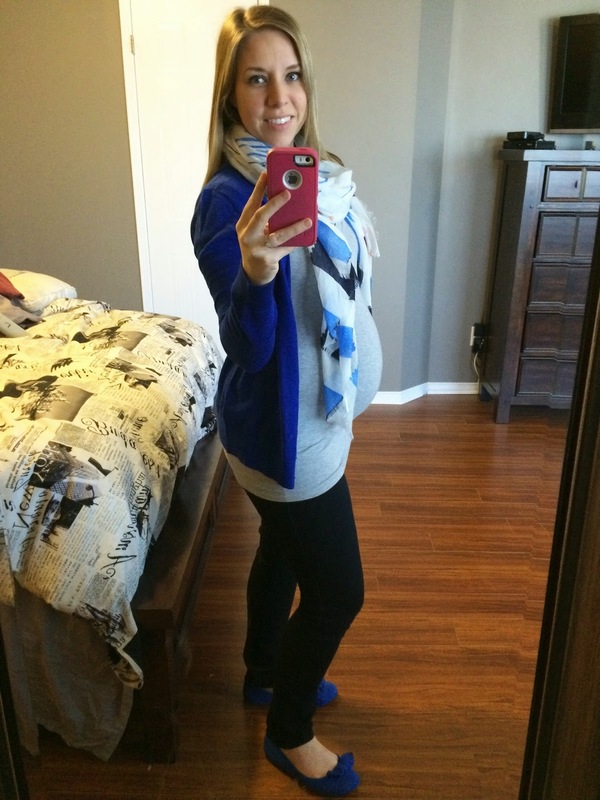 Comfort all the way... a tired, pregnant, working-mom's dream outfit! There you have it!!! This challenge is really helping me have fun dressing up the bump! There's still time to get your entries in for the $130 Nordstrom's Gift Card!!!! Enter below! thanks Erica and you're right, it can be hard to dress pregnant but I'm really trying this go around! Great outfits. You look exceptionally lovely in cobalt blue! I love the outfit with red jeans. You rock the colored denim! I do love my colored denim! Exactly- why do they eveN bother with the buttons on denim jackets?? You look great in everything, but I really like the cobalt blue on you! Perfect color choice! thanks, it's a fav of mine! You are looking rather cute with the adorable belly! I really, really love the maxi dress with the denim jacket on you! The floral pants, hot pink colored pants... ahh and the cobalt blue outfit, love, love, love! So many great outfits here! You did great this week! lol thanks! maxi dress was a great sale at Old Navy! I would get the Dolce Vita Orra' Crossover Strap Flat Sandals. Thanks for the opportunity. You are adorable pregnant. And have such stylish outfits. My favourites are Wed, Thursday, and Friday, the cobalt blue looks amazing on you! thanks, you were pretty cute pregnant too!! hope you're all doing well! You look so pretty, springy and stylish in all your outfits! I love the floral leggings. I love them too, saw them and had to have them! All of these outfits are super cute, I can't pick a favorite! I love those floral leggings and your floral scarf! loving the floral this spring! You are just the cutest in your little maternity outfits! That outfit with the pink pants/jeans and polka dot top is my favorite. So chic. I love it! thanks Lauren!! I'm so glad I decided to get the pink pants and polka dot top, I love them too! So so cute in every look! I especially like the chambray top and those pink pants are the perfect pop of color. I know, it's my new fav scarf!